A questionnaire by the PNG Chamber of Mines and Petroleum has unearthed a range of benefits that the Fly-in/Fly-Out (FIFO) operating model delivers to PNG workers, their families and the broader community. 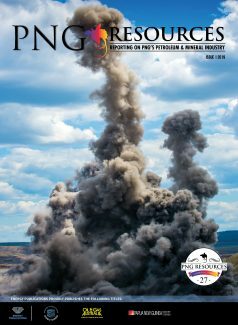 Distributed to mining projects with PNG employees engaged under FIFO arrangements, the questionnaire revealed inspiring stories and long-term benefits for employees from across PNG. Thousands of workers within Papua New Guinea’s mining industry are employed on a FIFO basis, complementing the staff drawn from local communities and host provinces. 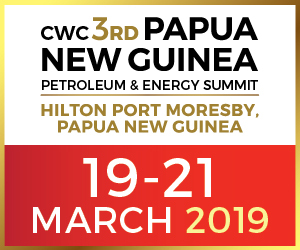 Dr Albert Mellam, executive director of the PNG Chamber of Mines and Petroleum, said the responses also highlighted the financial benefits that FIFO delivers, enabling workers to secure better opportunities for their families, including education and health. Senior engineer Joseph Palei of Porgera Joint Venture says as a FIFO worker he is able to spend more time with his family in Lae and use his days off to relax away from the worksite. Highly-regarded independent mining expert Richard Jackson recently presented at a Chamber workshop, in which he explained that building a project township for a mine does not necessarily deliver a better outcome for the local community. “Most resource projects are located in what were previously remote areas whose relative lack of access to the outside world placed very severe restrictions on their potential for trade and economic development. In many cases, despite the construction of roads, airports and other physical forms of communications and despite the arrival of telecommunications, once the project ceases to operate, the basic fact of geography re-asserts itself. They remain remote and at a disadvantage for economic development.